When Jarod Lam started attending lectures at QUT, he was still heading off to high school every day. Then 16, he joined the free START QUT program while in Year 12 at Redeemer Lutheran College, which meant he attended uni one day a week to complete a university subject in addition to his school work. Now 18, he’s at QUT full time and in his second year of a Bachelor of Engineering at the Gardens Point campus, where he’s studying mechatronics and robotics. He’s one of more than 1100 high school students to enrol in START QUT over the past five years and complete one or two university units (subjects) in Year 12. Applications for the 2019 program are now open for current Year 11s and close on October 31, with almost 100 units available to study next year. 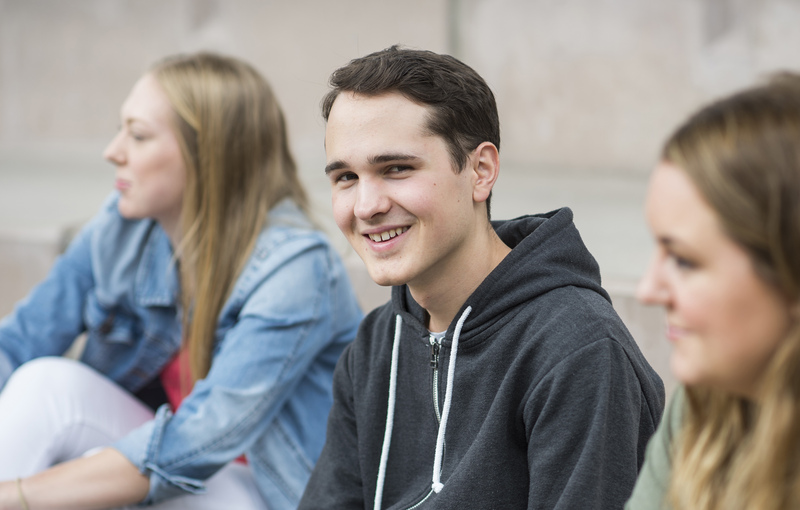 And while the thought of tackling uni as well as Year 12 is understandably pretty daunting for most high school seniors, Jarod says it was worth it. “I think START QUT is something that every high school student should do if they can,” he said. “It definitely takes some adjusting in the first few weeks – getting used to the extra workload and travel time – but once I got into the swing of it, it was a blast. Jarod not only passed his START QUT unit, Engineering Computation, he got a 7 – the highest grade. It’s also now counted as one of the units that will make up his degree. Business and law student Lucy Coogan took on two uni subjects back when she was in Year 12 at Kedron State High – Policy, Governance and Justice, and Understanding Theatre. “I am very indecisive so trying out two subjects for free before committing to a course was perfect – it helped me figure out what I wanted to study,” she said. START QUT coordinator Kirsty Jarrett said students may get a unit credit toward a future degree and also an additional QTAC selection rank towards QUT entry for each unit completed. She said START QUT students went to the same lectures and tutorials and sat the same exams as first-year uni students. “Some classes run during school time, so it’s essential that students talk to their school and parents first and make sure they can work out a timetable that will fit in all their commitments,” she said. “Time management is really important so before applying think about how much time you need for your school work, and other activities like sport and part-time jobs. “As a guide, the majority of our START QUT students will need to spend eight hours per week on uni study, including going to classes, reading and preparing for assessment. And you’ll need to factor in travel time between school or home and university. “We find a lot of students choose to do START QUT in the first semester of Year 12 and then concentrate on high school in semester two. But they can apply to do a unit each semester if they want to. Bálint Hegyes is another former START QUT student who remembers what it was like balancing his workload. He said he would do the first session of school, change out of his uniform at morning tea, catch a bus to QUT Kelvin Grove to attend a creative writing lecture and tutorial, then bus it back to Deception Bay High to do some catch-up work after 3pm. He’s now due to graduate at the end of this year with a Bachelor of Fine Arts, majoring in Creative and Professional Writing. Bálint, Lucy and Jarod have all also been lucky enough to do an overseas exchange while at QUT. For more details on START QUT, email startqut@qut.edu.au, call 3138 3181 or visit www.qut.edu.au/startqut.